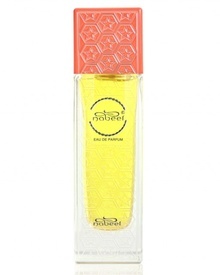 Parfum feminin oriental, cu note florale, note lemnoase si condimente. 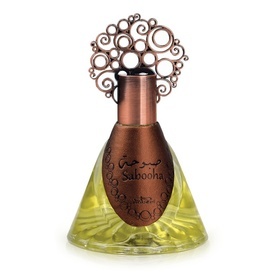 A fragrance with a vintage vibe and yet representing a modern era charm. A scent which has been Nabeel's best seller over the decades. The bottle is simple silver metallic finish with a soft peach colored box. Pana acum,din tot ce am încercat,Nabeel ramane parfumul meu preferat! Persistenta f mare! !,la nivelul hainelor ramane chiar si a doua zi!..se simte f bine Combinația de musk si lămâie!